I think I've gone through enough leggings and sports bras in my adult life to offer this unscientific generalization: It is exceedingly difficult to find workout clothing that is at once stylish, high-quality, and affordable. That is why I am so stoked about JoyLab, the activewear collection we co-designed with Target—it's a solid lineup of truly covetable pieces that also won't drain your bank account. One of the coolest parts of JoyLab, in my opinion, is that it includes pieces to transition from the gym to your post-sweat agenda: Think cool moto jackets you can throw over your sports bra, a cozy (but breathable) turtleneck that might actually dress up your leggings, and a long-sleeve wrap top that I would seriously consider wearing to the office. As for the impeccably designed workout wear, I should note that the performance is top-notch as well: I personally despise fabric that cannot handle any kind of moisture, and after putting my new duds through some tough workouts, I can report that the sweat-wicking capabilities are pretty impressive. So naturally, I'm still eyeing more pieces from the collection—with minimal guilt about the potential cost of an ever-growing shopping list. Keep scrolling to see a few of the JoyLab items we can't wait to start wearing. 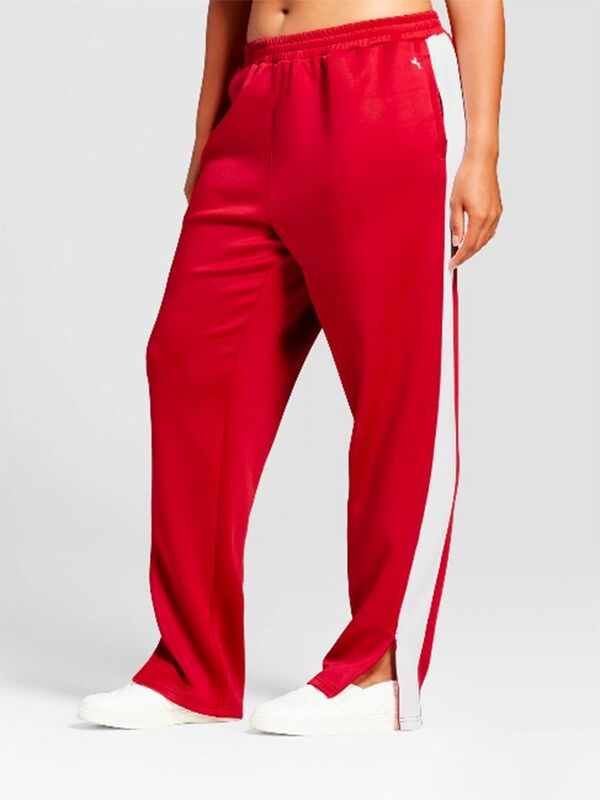 These track pants are perfectly on trend—and the split hem makes for an unexpected, eye-catching detail. Don this ballerina-inspired wrap top from barre class to brunch. This color-block bra top doesn't just guarantee maximum double-taps on IG—it's ultra-supportive, too. Shop more of the JoyLab collection at Target.